SKU: XMaxx-HE-BP-DW-30K. 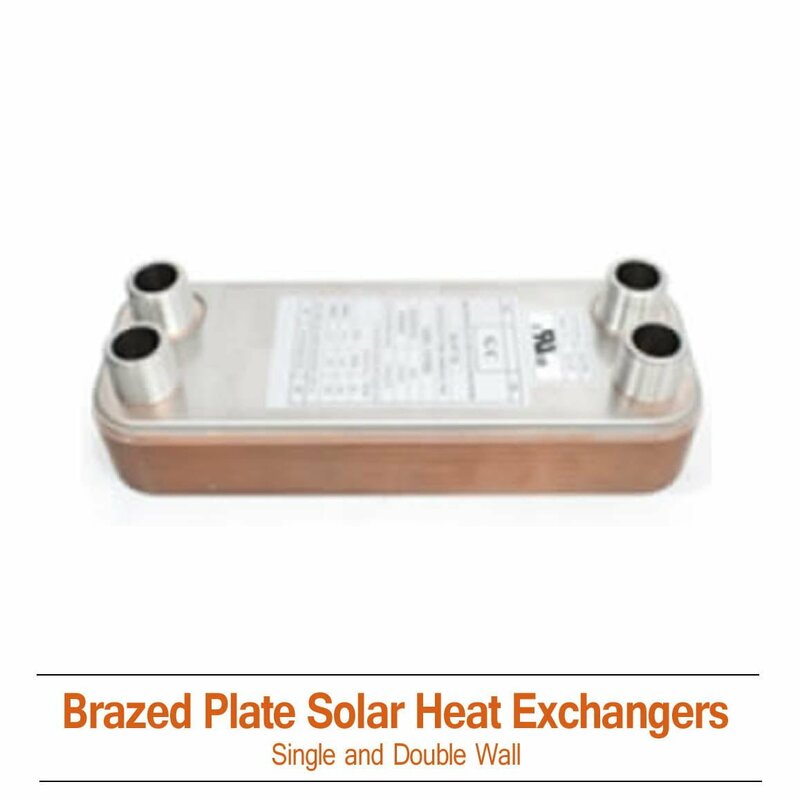 Categories: Brazed Plate Solar Heat Exchangers, Solar Heat Exchangers. Double Wall Brazed Plate Heat Exchangers consist of two stainless steel plates to prevent cross contamination of fluids in the event of an internal leak. The air gap between the plates allows the leak to vented to the atmosphere, enabling visual detection. The 30K Plate Brazed Plate Double Wall Heat Exchanger from Silicon Solar Inc allows you to continue to use your existing hot water storage tank as an included part of your new solar hot water heating system. Completely sealed stainless steel construction, copper brazed with a high performance heat transfer surface to promote low fouling. Smaller models include 1/2 to 200 gpm models, and larger sizes range up to 400 gpm. All models have NPT male pipe thread connections and mounting stud bolts. These exchangers are rated at 435 psi working pressure (both sides) and they are U.L. Listed.